Cuban Cigars - History and Evolution of Habanos SA. To be able to understand the history and the establishment of one of the most powerful Cuban cigar companies, one should take a look back to the 1959 when the Cuban Revolution occurred and changed everything. The Revolution, which occurred on 2 January 1959, didn't affect the cigar industry at first, as it did with the rest of Cuba. Cigar factories were working as usual, according to a Cuban cigar price list valid from 1st January 1959. As it appears from that list, a total of 140 brands went for export: 1,185 vitolas were available, with 999 in production and 186 custom-made. 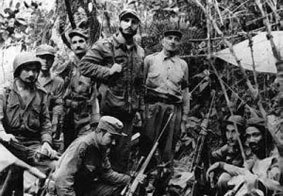 The changes came in February 1962, after the Cubatabaco was established. This Cuban state tobacco company was so powerful at that time that it has immediately appointed Government to take over the control of all Cuban cigar factories. The majority of small factories were closed down since there were no people to work there. However, the major factories, such as the H. Upmann Factory and the Partagas Factory continued their functioning, without being emerged into one. Therefore, the number of cigar brands and vitolas has decreased significantly, with a considerable quantity of pre-revolutionary brands remaining in the past. 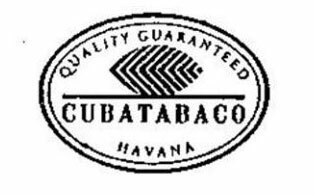 The Cubatabaco was in charge of all production and distribution of Cuban tobacco products both locally and internationally until 1994, when the Habanos S.A. Corporation was established. The latter took up the baton from Cubatabaco and is currently responsible for cigars and cigarettes' export worldwide. The Habanos S.A. Corporation, or as it is better known worldwide, Habanos S.A., was established in 1994 with a single goal - to control the distribution of all Cuban tobacco products in Cuba and throughout the world. 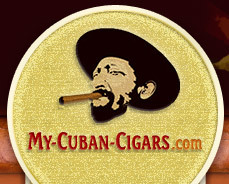 The company was solely owned by Cubatabaco until 2000 when it became a joint venture with equal 50% share between Cubatabaco and Altadis, a Franco-Spanish company. The Habanos S.A. Company is the world's leading distributor of high-end Cuban cigars, and is present at the markets of over 150 countries. 90% of its revenue comes from the international marketing. Every exported cigar and cigarette brand made in Cuba belongs to the company. Habanos S.A. is also entitled to give the right to franchise for opening La Casa del Habano - a chain of cigar stores. In order to prevent counterfeiting and monitor distribution, Habanos S.A. exports to a single company in each country: Hunters & Frankau in Great Britain and Gibraltar, 5th Avenue Cigars for Germany, Intertabak for Switzerland, Pacific Cigar Co. for most of the Pacific Rim, etc. The only country where Cuban cigars are banned from selling and consuming is the United States, because of its well-known trade embargo against Cuba since 1962.